This article is about the 1993 game. For other Star Wars games, see Star Wars. Star Wars is a platform game based on the 1977 Star Wars film, and was originally released for the NES in 1991 and developed by Beam Software. In 1993 the game was ported to the Sega Master System and Sega Game Gear by US Gold and Tiertex, with the Game Gear one being the only one of the two versions to see release in North America. 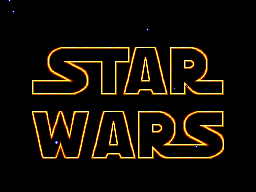 Both versions are faithful adaptations of the NES original, although the Game Gear version adds an introductory level where you play as Princess Leia on the Death Star. Main article: Star Wars/Magazine articles.